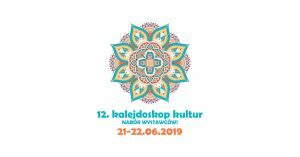 On June 22nd, will take place the 12th edition of Kaleidoscope of Cultures – an event inviting you to the world of multiculturalism in Wrocław and Lower Silesia. The program includes performances by local bands, presentations by artists from different parts of the world, workshops and animations for children and adults. Meanwhile, the organizers invite exhibitors (animators, craftsmen, publishers and others) to participate. Applications are accepted until May 31st.